Pakistan is a major player on the world stage but is a country little known by many in relative terms due to recent political instability in the region. This has led to reduced numbers of tourists in recent years which is a shame as it is a country with much to offer to the tourist. The concept of the Pakistani nation dates back to 1936 and the Allahabad Address when Muhammad Iqbal called for a Muslim state for the Muslims of north-west India. Following Indian independence from Britain, Pakistan got its own independence from India in 1947. Nine years later in 1956 it officially became an Islamic state. Following disputes and a war between East and West Pakistan, Bangladesh in turn gained its independence from Pakistan in 1971. Its current political constitution dates from 1973. With a population of 180 million people, it is the sixth largest country in the world in terms of population size. It is a geographically diverse country with an area of over 300,000 square miles taking in mountains, plains, deserts and a coastline on the Arabian Gulf. Given its diverse landscape and formidable size, climate varies considerably from place to place. Pakistan is a country that has seen and continues to experience rapid economic growth in recent years. It has been classified as one of the “Next 11” countries which are set to be economically significant in coming years. Alongside its economic prowess, Pakistan is also a regional and global leader on the political stage. 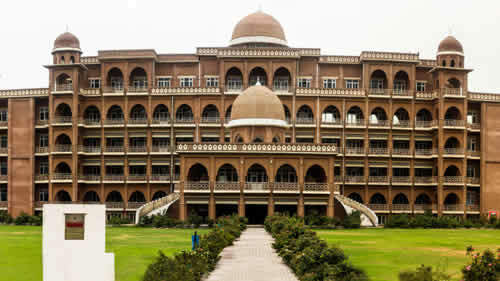 As we have mentioned in the individual city sections, there is much to do in Pakistan. From the great cities of Karachi, Lahore and the capital Islamabad to the fascinating northern city of Peshawar, our city guide information will help you to decide which one is right for you. The climate in Pakistan is very varied for a country of its size. This is largely due to the varied geographical landscape of the country which is long and narrow and includes mountains in the north east going down to the Arabian Sea in the south. The southern part of the country typically has five seasons rather than the more normal four – these include spring, summer, monsoon, autumn and winter. Pretty much the entire country is hot in the summer months although this depends on exactly where you are and the elevation – for example, mountainous areas tend to be cooler. The monsoon season in July and August can see considerable rainfall although it is generally drier in the north of the country. The main airports in Pakistan are Karachi, Lahore and Islamabad although there are also services going into Faisalabad and Peshawar. Karachi and Lahore have by far the largest amount of flights going in and out and are the main point of entry for most visitors to Pakistan. Whilst most people travelling to Pakistan these days fly to visit friends and relatives, attend family events and celebrations or visit for religious or cultural festivals, there are many reasons why tourists might want to consider travelling to Pakistan. If you are not travelling for family reasons, you will want to consider the weather situation and what is on at the time of your proposed visit. Our guide to the weather in Pakistan for the main cities will assist you in making your decision. British passport holders will need a visa to enter Pakistan. Failure to get a visa can be treated by the Pakistani authorities as a criminal offence and can result in detention or a hefty fine. You will also need to have six months validity on your passport at the time you apply for your visa. Visas can be obtained from the Pakistani High Commission in London who can also help with any enquiries. Obviously Pakistani passport holders do not require a visa. Other nationalities should check with the Pakistani High Commission to establish whether a visa for travel is required. 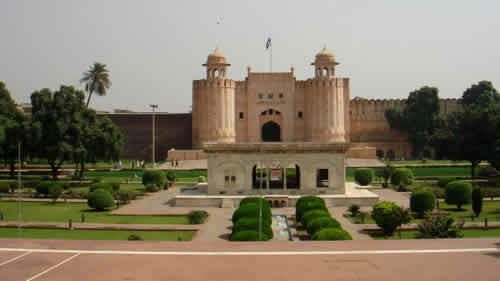 Direct flights are possible to Karachi, Lahore and Islamabad from the UK although there are many other options for getting to these cities via points in Europe and the Middle East. Faisalabad and Peshawar must be accessed via either the main entry points in Pakistan or through one of the Middle-Eastern flight hubs. 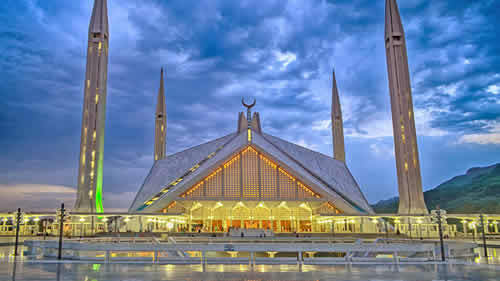 Airlines serving Pakistan include Pakistan International Airlines, Gulf Air, Emirates, Etihad Airways, Qatar Airways, Turkish Airlines and several other regional carriers connecting via points in the Middle-East and central Asia. Find our lowest price on flights to Pakistan guaranted, No Hidden payments and gimmicks just real honest prices. Need Help? Call Now 0208 518 9709 to get booking assistance and special deals. Book with Confidence.Your Booking is Safe with us,our flight offers are ATOL Protected by the civil aviation authority. © 2016 Tickets to Pakistan is a division of Acetrip Ltd.